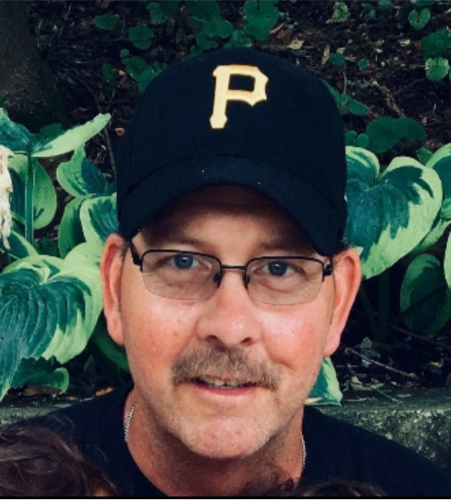 William D. “Bill” Shaw, age 55, of Tidioute, PA formerly of Port Vue, Pa, died on Tuesday, November 20th, 2018, at his home surrounded by his family after a very courageous battle with cancer. He was born July 23, 1963 in McKeesport, PA, son of the late William F. and Joan A. (Kobulnicky) Shaw. On April 25, 1987 in McKeesport he married Kelly (Torbert) Shaw (his very best friend). He was a member of St. John’s R.C. Church in Tidioute and former member of the Tidioute Knights of Columbus #9304. He was previously employed by Paulmier General Contracting in Tidioute and more recently employed by Hoover Oil Fields Supply in Warren, PA.
Bill was most happy out on the river, kayaking, fishing, or hunting the woods around Tidioute. His love for his family and the outdoors regularly brought everyone together in Tidioute. His wife, children and grandchildren were the light of his life. Because of Bill, the values of family have been instilled in their lives forever. In addition to his wife he is survived by a son, Garrett W. Shaw and his girlfriend Alyssa Helster, both of Union City, PA. A daughter, Jessica J. Bardo and her husband Ron of Coudersport, PA. Twin grandchildren, William and Ellana Bardo. His sister, Cheryl Morici and her husband Mark of Warren. Brother-in-law Jeff Torbert and his wife Kim of Elizabeth, PA. Father and mother in-laws Harry and Linda Torbert of Coal Center, PA. Nieces and Nephews, Lauren, Abby and Josh Morici; Marissa Murphy; and Madison Torbert. He is also survived by multiple Shaw family cousins, aunts and uncles; and his maternal uncle, Jerry Kobulnicky of Port Vue. There will be no public visitation. A Mass of Christian Burial will be celebrated on Saturday, December 1, 2018 at St. Johns R.C. Church at 11 am with Father Joseph Kalinowski, celebrant. Burial will be private. In lieu of flowers family requests memorial contributions to be sent the Hillman Cancer Center 5115 Centre Avenue Pittsburgh, PA 15232. Arrangements are under the direction of the Norman J. Wimer Funeral Home of Tionesta, PA.